Vice President Yemi Osinbajo explained why the administration was opposed to such proposals. 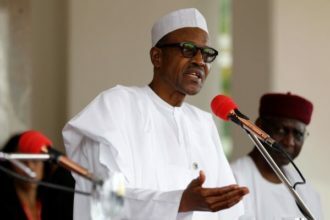 He criticised calls for the devaluation of the Naira on Thursday, saying this was not an appropriate option for the country’s current economic realities. The vice president was re-echoing views expressed earlier by President Muhammadu Buhari, who argued that further devaluation of the Naira was not healthy for the country’s economy. In November, the Central Bank of Nigeria (CBN) devalued the Naira, initially from N155 to N168 to the dollar, and later to the current N198 to the dollar. The rate goes for as high as N222 in the parallel market. The International Monetary Fund, IMF, recently urged the CBN to rescind its policy of denying access to foreign exchange for the importation of 41 items – a policy the CBN implemented to strengthen the Naira as global oil price remains unstable. The IMF’s Africa Director, Antoinette Sayeh, at the Fund’s annual meeting in Peru two weeks ago, criticised the Central Bank of Nigeria’s policy, describing it as detrimental to ordinary Nigerians. Sayeh called for a review of the restrictions to “permit the exchange rate to continue to adjust”. Apparently emboldened by the IMF position, a former CBN governor and current Emir of Kano, Muhammed Sanusi II, on Friday, called on the Federal Government to devalue the naira.